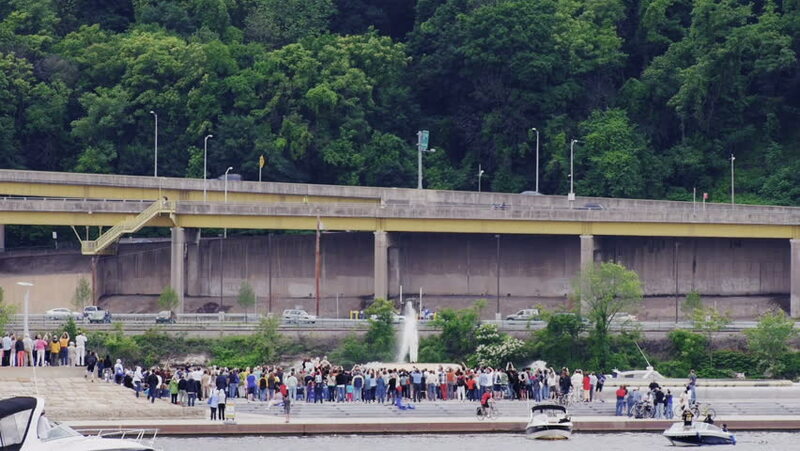 PITTSBURGH, PA - June 7, 2013 - After nearly three years of reconstruction, the iconic fountain at The Point is officially turned back on. 4k00:08Athens,Greece-May 17, 2016:4k time lapse footage of road,traffic and people walking in city at Syntagma Square, Athens. hd00:10NEW YORK CITY, Circa August, 2013 - Pedestrians walk past the New York Public Library and Bryant Park.